The Class 5 Quick Start Guide highlights the ease of use and powerful features of the Class 5 SmartMotor™. 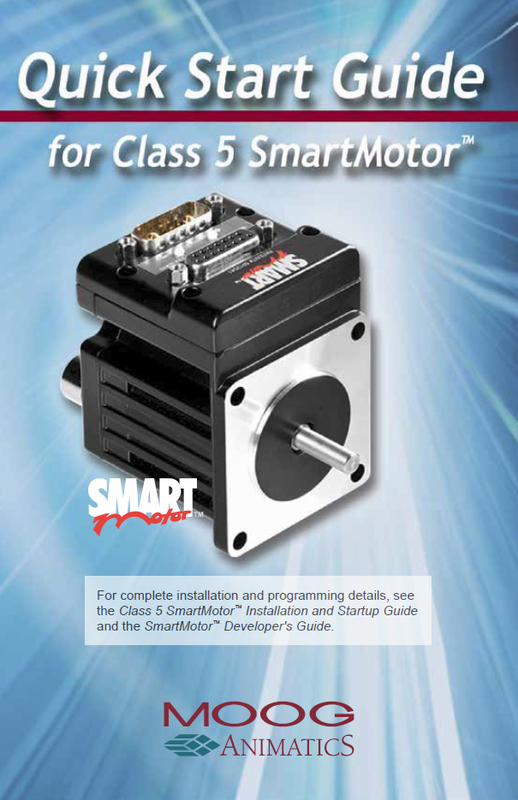 Moog Animatics is pleased to announce the “Quick Start Guide" for Class 5 SmartMotor™ applications. This guide is designed to help users quickly understand the process of getting started with the Class 5 SmartMotor™.